Jarot Widyoko is an Indonesian citizen, born on February 24, 1963 in the city of Klaten Central Java. 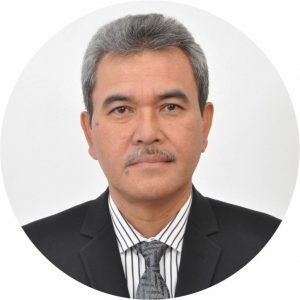 He received a bachelor’s education at UGM University – Yogyakarta in 1987, and in 1992 has successfully completed a post-graduate program at ITB University Bandung. He was trusted to be the President Commissioner at PT Indra Karya (Persero) since January 8, 2019 based on the Decree of the Minister of BUMN Number: SK-24 / D7.MBU.4 / 02 / 2019. 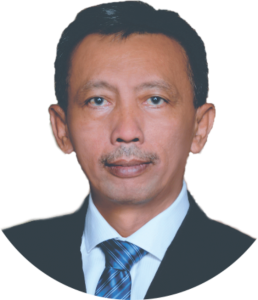 He was last recorded as the Director of rivers and beaches of the Ministry of Public Works and Public Housing of the Republic of Indonesia. Teddy Poernama is an Indonesian citizen, born on January 7, 1971 in Teluk Betung City, Lampung Province. 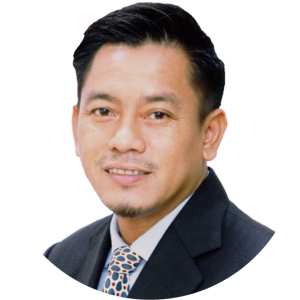 He received his undergraduate education at the YAI Jakarta College of Economics (in 1995). After that, he continued his S2 education in the University Communication Field Prof. Dr. Moestopo (Beragama) Jakarta (in 2012). He is trusted to be a Commissioner at PT Indra Karya (Persero) since September 28, 2018 based on the Decree of the Minister of BUMN Number: SK-250 / MBU / 09/2018. 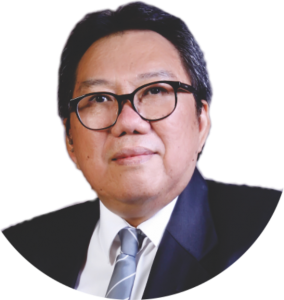 Currently he is also believed to be the Head of the BUMN Privatization and Synergy Division at the Ministry of State-Owned Enterprises. Milfan Rantawi is an Indonesian citizen, born on December 12, 1963 in the city of Yogyakarta. He holds a Bachelor (S1) Geology Engineering University of Pembangunan Nasional “Veteran” Yogyakarta (1991). After that he won a Masters degree in Management at the Sekolah Tinggi Ilmu Ekonomi Nusantara (2004). He served as the President Director of PT Indra Karya (Persero) based on the Decree of the Minister of BUMN as the General Meeting of Shareholders of the Company (Persero) PT Indra Karya No. SK-199 / MBU / 06/2018 dated 28 June 2018. Eko Budiono is an Indonesian citizen, born on July 19, 1967 in the city of Tegal. He earned a Bachelor’s Degree (S1) in Civil Engineering Universitas Brawijaya – Malang (1993).